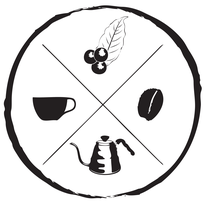 Welcome to Full Circle Coffee, home of West Michigan's Espresso and Coffee Caterer! We bring craft coffee to a variety of events and would love to bring our craft to yours. We've served at weddings, business events, appreciations, graduations... you name it! Our customizable service starts with one hour of serving time and approximately 25 drinks. We craft espresso based drinks using sustainably sourced coffee, whole milk and home-made flavorings. We prepare every filter coffee by hand to ensure each cup's perfection. Decaf and iced drinks (including Italian sodas) available upon request. Our pricing is based upon the number of drink you believe will be served. Our base package is one hour of service, up to 25 drinks for $350. Our second tier is two hours of service, up to 50 drinks for $450. Our next tier is three hours of service, up to 75 drinks for $550. If your event doesn't fall into these categories, no worries! We're happy to customize a package for your specific needs. Enter your name and email below as well as a brief description of your event and we will get in touch with you.